Microbes don’t grow without water, for example in a pure fat or oil. In foods, medications and cosmetics water added means also adding preservative(s). Raw garlic contains water so safest used separately IMO. Dried chillis work well if you like a little kick? As an aside do not add dried chillis to cooking wine: capsaisin is much more alcohol than oil soluble apparently! HOT stuff. Please clarify the gut lining comments: source, name of problem? Dr Mosley disagrees with which concern, and where/ when? 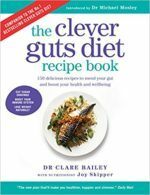 Gut lining issue raised here http://www.ener-chi.com/eating-garlic-is-very-toxic-for-the-body/ Michael’s view on the benefits of garlic on pages 122-123 of the Clever Guts book which contradicts the info in above link and what said on the FB group I quoted. Clarification would be good. Thank for the link. Articles of that poor standard are best left unread. Note references to culinary trends and the author’s opinion, nothing about quantity of raw garlic. ‘Holes in the intestine’ would presumably be formally diagnosed during endoscopy (live) or post mortem (dead). Demonstrating cause-and-effect of a specific amount of a specific foodstuff requires many volunteers/ subjects, including healthy ‘controls’, and a long timeframe. You’d need a teaching university and/ or hospital research team, generous funding grant and a pseudo-scientific method of separating human volunteers or animal subjects into ayurvedic body types. Obviously it isn’t ethical to feed human volunteers a potentially harmful/ toxic substance nor to sacrifice them! Abstracts – and sometimes full text – of published studies and literature reviews can be found online by searching PubMed and Google Scholar. I wonder why people from countries who regularly eat raw garlic (Spain, Italy, Eastern Europe etc etc) don’t show this erosion of the stomach lining then? Or why they don’t seem to suffer from gastro-intestinal problems as much as the West does? These countries have been eating raw garlic for thousands of years? I don’t understand. I eat raw garlic in dressings, guacamole etc and when I lived the middle east the women there used it as a foot poultice for everything, especially colds. I think Ill just carry on doing what I’m doing (including eating organic meat and eggs! ).